This page will be updated throughout the month. to then be more available for peace, contentment, and connection with the people and activities that are truly fulfilling. One main reason many of us (including my family members and I) have many opportunities to detox is because our incredible advancements in science and technology have created unimaginable options—to have more and experience more—at affordable prices. And we haven't known of good reasons not to embrace our new options wholeheartedly. For example, iPhones were just announced to the world in 2007. Think about how much iPhones have transformed our lives. Undoubtedly, they are a marvelous wonder. And they spurred the inventions of many other mind-blowing (or just super helpful) products and services. However, the parts of our well-being that are most threatened by an unbalanced relationship with our entertainment options include our attention, presence, hearing, moods, emotions, sleep quality, and all that might be at higher risk from our unprecedented radiation exposures. 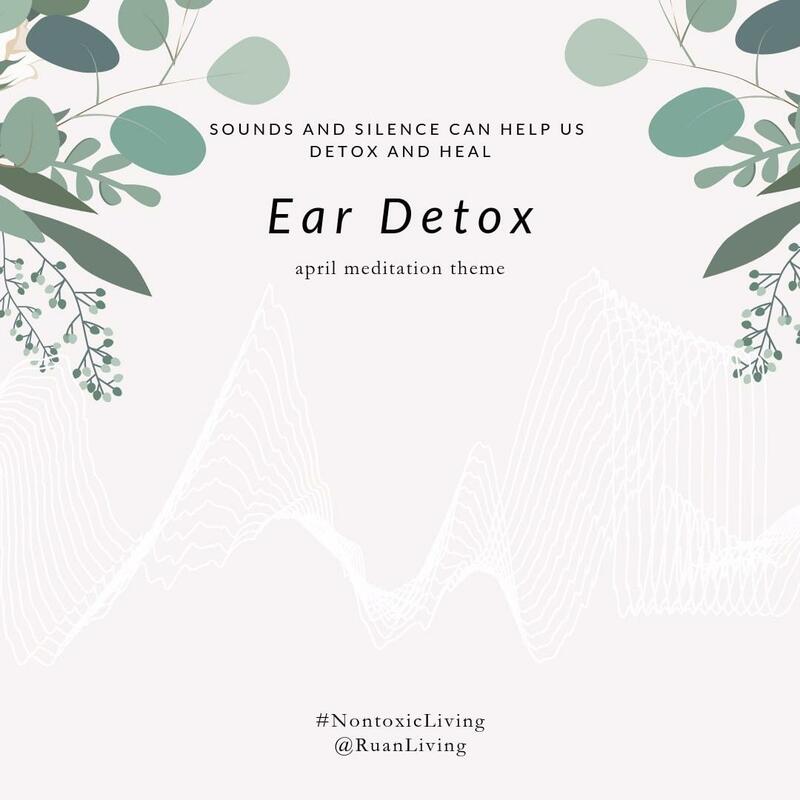 In April, we will honor our ears to explore how sounds, vibrations, and silence can help us optimize our health, healing, and joy.